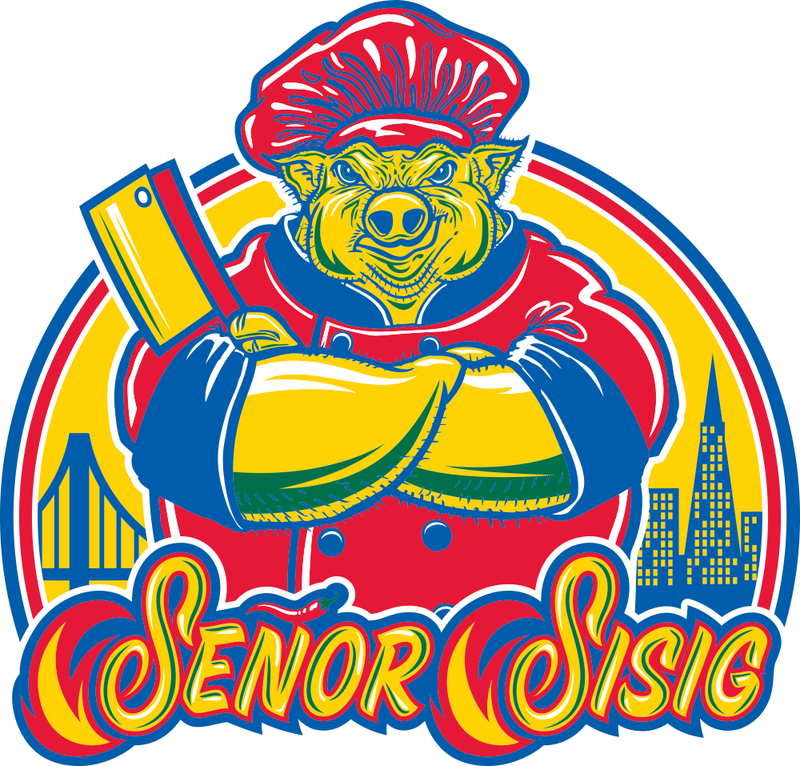 True to their Bay Area roots, Señor Sisig is a proud and active member of its local community. They recognize that their work providing fresh, delicious food and exceptional service is often a catalyst for people to gather, exchange ideas, and build positivity. For Evan K, Gil, and the rest of the Señor Sisig squad, this also means partnering with organizers at non-profits — like Kieem Baker of The City Eats — to share the spirit of family and feed the Tenderloin community at this year’s Night Feed. Evan K told the Señor Sisig blog squad how the Night Feed partnership came together organically, through a family connection. “Kieem and I worked together a couple years back, doing a feed at 111 Minna through an org called All-In SF, and it was a huge success. We fed more than 1000 people that day, and I brought my family, and saw a bunch of other families helping out, and it was something that we just always wanted to do again,” Evan said. With thousands served plates of steaming hot sisig on a cold holiday night, the Night Feed was a great success, even by the high standards of Kieem and The City Eats — who organize events to help feed the homeless from San Francisco to Los Angeles, San Diego, and everywhere in between. And, Kieem says, it’s not just a hot meal that The City Eats provides its constituents. “We are fully non-profit, and so we are able to take care of most of California, and while certainly feeding the homeless is at the center of what we do, we also do our best to give the homeless resources to help them get into better situations — and sometimes even into housing, and we’ve been doing this for about eight years now,” Kieem said. And while they enjoyed working together as friends at this year’s Night Feed — just outside Civic Center in downtown San Francisco — both Evan and Kieem said that the partnership also helped their respective operations achieve specific goals, and that the community bonds felt even stronger as a result. “I always wanted to have a food truck to do The City Eats with, and that's why I was so excited to get working with Evan, because we really wanted to get the food mobile, and we were going to bring food from one of the top three food trucks in the Bay Area to the homeless community — and we wanted to serve in the thousands,” Kieem said. “At Senor Sisig we dont just rock with anybody. We want to align ourselves with people who have similar values and similar backgrounds, and more and more it’s really hard to find that.And i think thats what we have with The City Eats. So while we’re proud to be giving back at Señor Sisig, we also feel that are getting something very valuable as well, and that is that sense of community, so we are going to continue to rock with The City Eats and Kieem; we have already done two events together, and it’s going to grow from there,” Evan said. For both Evan and Kieem, a partnership like the one between The City Eats and Señor Sisig is the result of growing up with values that prize respect over money, and teach the importance of supporting your neighbor and showing gratitude for what you have. “I am from LA, and if we'd act up, my dad would take us down to Skid Row to serve food, or help at the community center, and give back to the community. Any time he felt the community needed us to help, he would take us down to Skid Row. I will always remember those experiences. And when I came up to San Francisco, I saw that there was a homeless population here as well, and that they were surrounded by people who were living good. And it didn't make sense to me: that so many people could be living good, and that there could still be so many people struggling as well — and so many kids out here in the streets. So that's what pushed me to get into helping feed the homeless,” Kieem says.